Welcome to Stone''s Throw Bungalow! 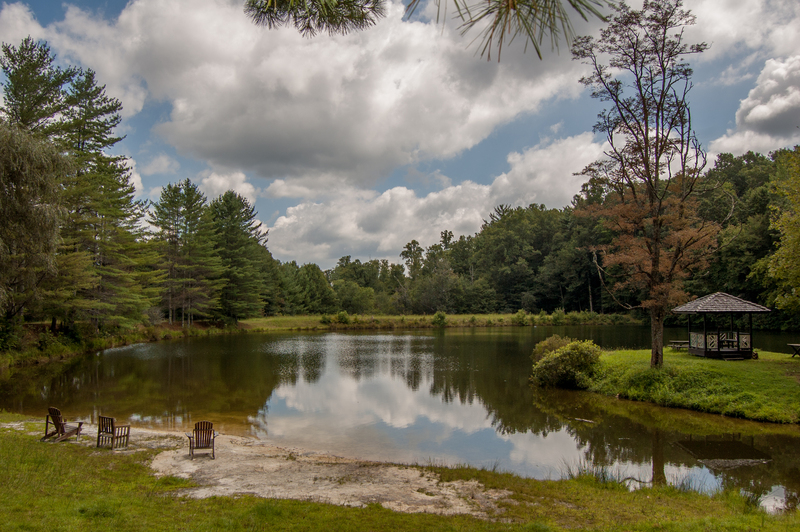 Community Lake Access - Just minutes away with beach area. Great room with floor to ceiling gas fireplace. Cozy great room with new furnishings and Flat Screen TV with Netflix and Roku. Open Living, Dining, Kitchen areas. 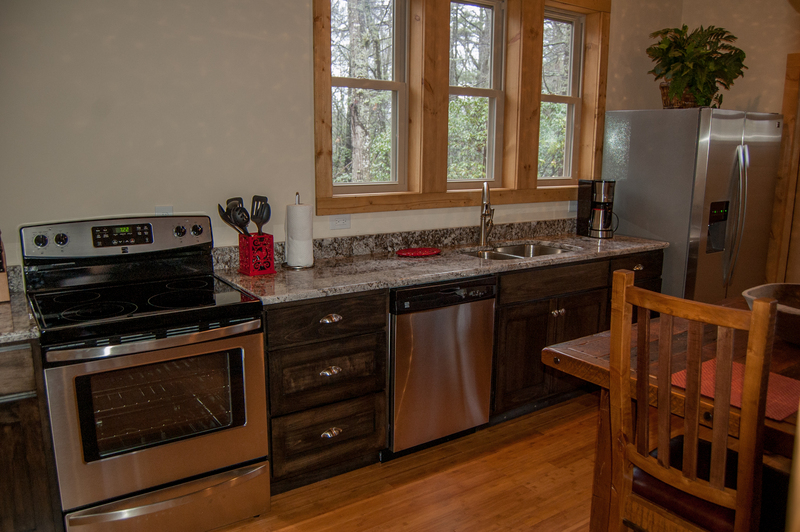 Fully equipped kitchen with stainless appliances. Walk out access to the front covered porch. Covered front porch with bistro table and two chairs. Master Bedroom Offers Walk Out Access to the Covered Porch and Hot Tub. King size bed and private full size bathroom with tub / shower combo. Oversized covered porch off great room and master bedroom with hot tub, tucked in natural wooded setting. Spacious porch also offers sitting area and propane grill. View of sitting area and hot tub. View of large porch from woods. Upstairs bedroom with queen size bed. Sitting area and Flat Screen Smart TV with Netflix. Another view from upstairs bedroom, leads out to small loft with sitting area. Upstairs bathroom with tub shower combo. 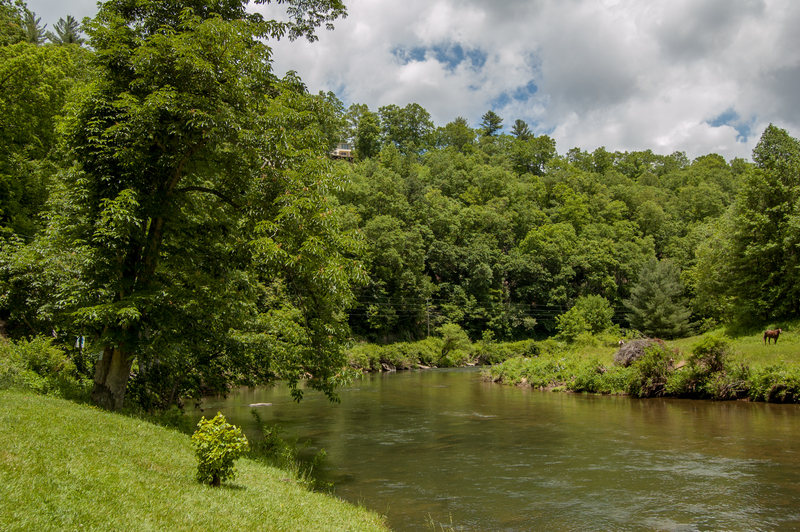 River access, great spot to fish, put in your inner tubes or go for a swim. Lake access with sitting areas. 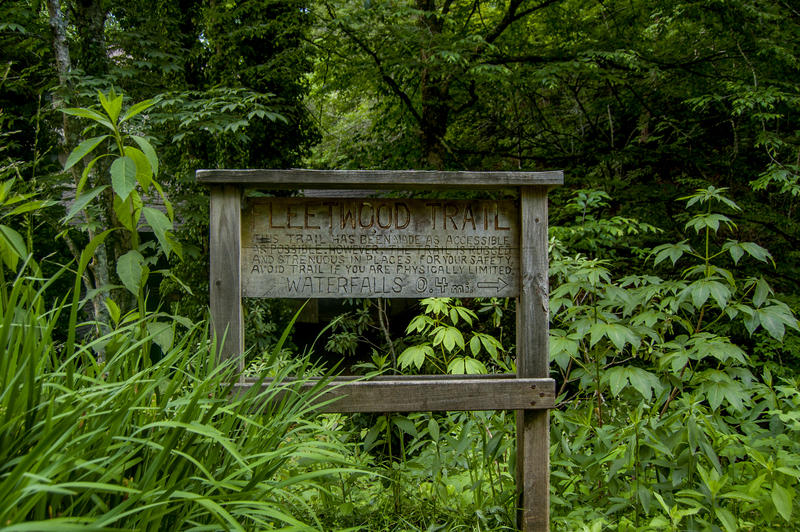 Hiking Trail to Creek Falls. View from the front woods. -	Great central location - close to all High Country attractions! 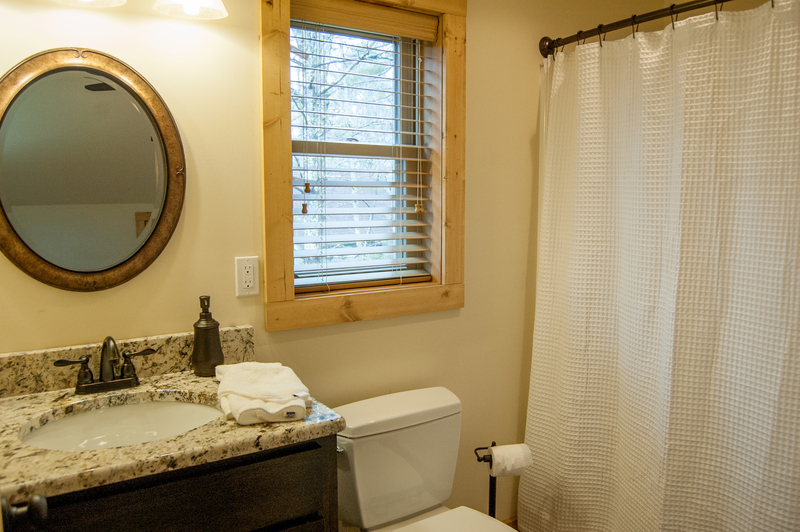 When you want a peaceful, rustic get-away, but you still expect the little touches of luxury you're accustomed to, you've found it with Stone's Throw Bungalow. 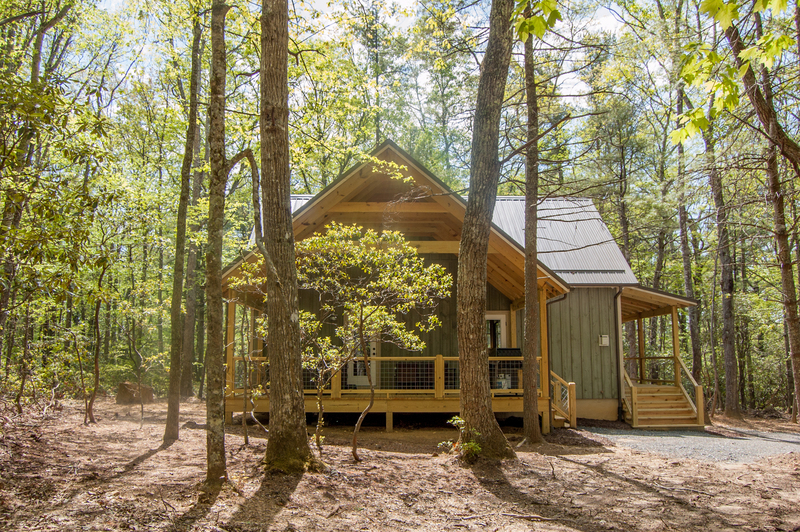 This inviting cabin offers peace and privacy in a lovely wooded setting, along with beautifully upgraded kitchens and bathrooms, bamboo floors, and new furniture and bedding. 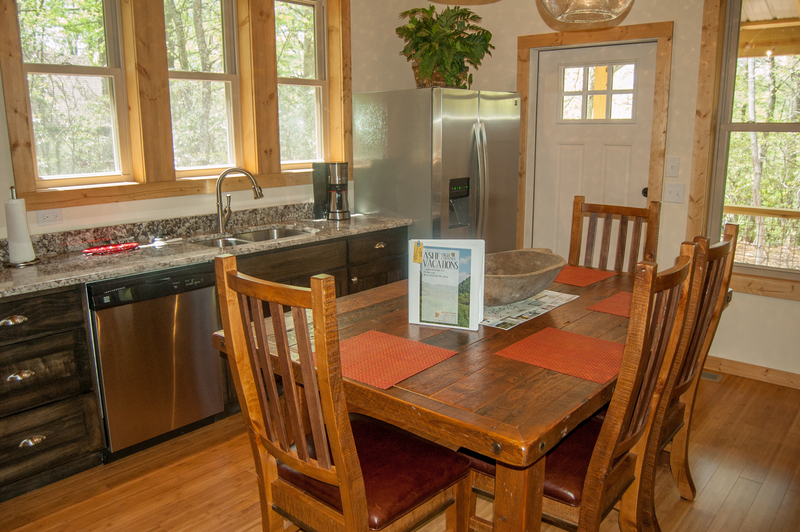 The cabin is perfect for two couples, or small families. 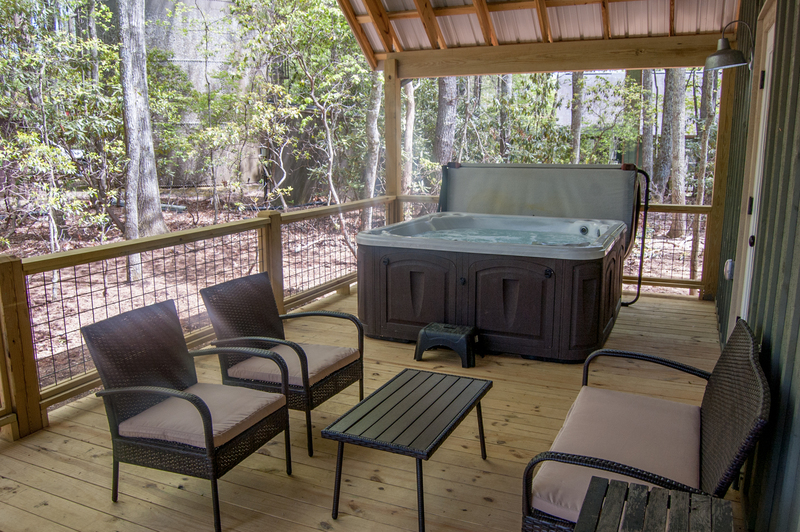 It's outfitted with all the comforts of home, along with some special features you may long for - like our luxurious, top-of-the-line hot tub, just steps from the master bedroom. This is the ideal setting for romance and relaxation! 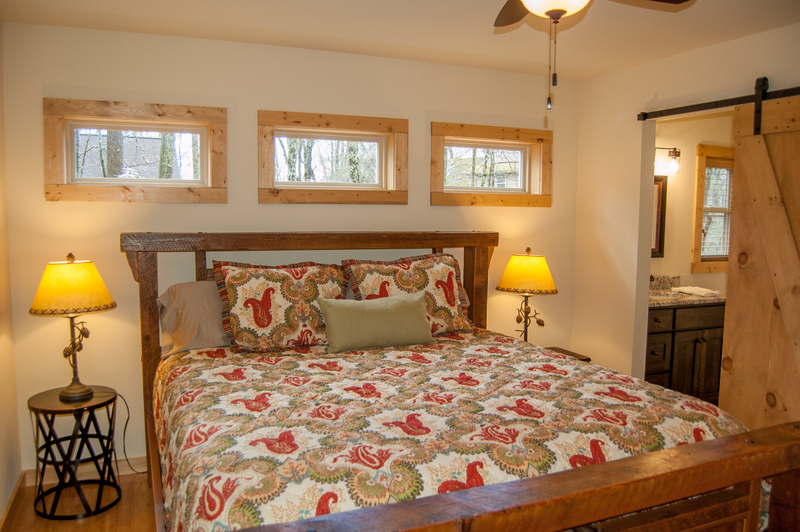 The master bedroom is conveniently located on the main floor, and features a new king-size bed and an en-suite bathroom, hidden behind a charming sliding barn door. 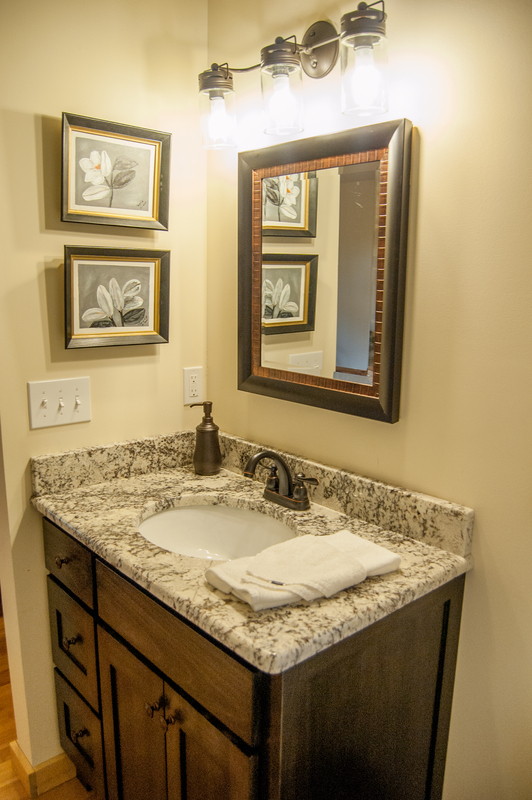 As you'd expect from this home, the master bathroom has a lovely granite-covered vanity and a full tub/shower combination. Your friends, guests or children also enjoy comfort and privacy, in the upstairs suite. In addition to the queen-size bedroom, the upper level also features an upgraded full bath, a Smart-TV with Netflix and its own sitting-room loft. The furniture throughout this tasteful home is as appealing as it is functional. The open floor plan inspires socializing and camaraderie, as it brings the kitchen, lounging and entertainment areas together. Plan a feast in our beautifully-equipped kitchen, complete with microwave, dishwasher, coffeemaker and all the dining accessories you might need. 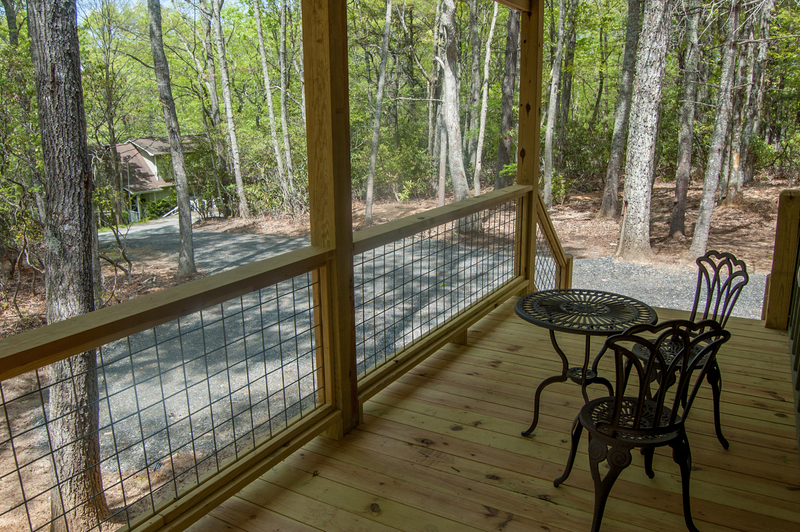 Or grill outside - we have two private covered porches! 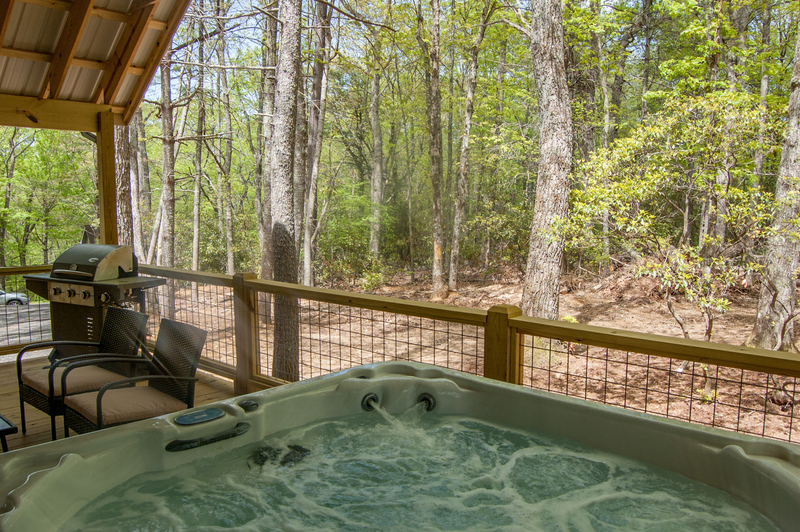 When dinner is done, snuggle by the cozy gas fireplace, or soak in the sparkling clean hot tub. This home offers you a chance to get away from it all, at an affordable price, without sacrificing the finer things in life. The name says it all - this is the perfect High Country location. 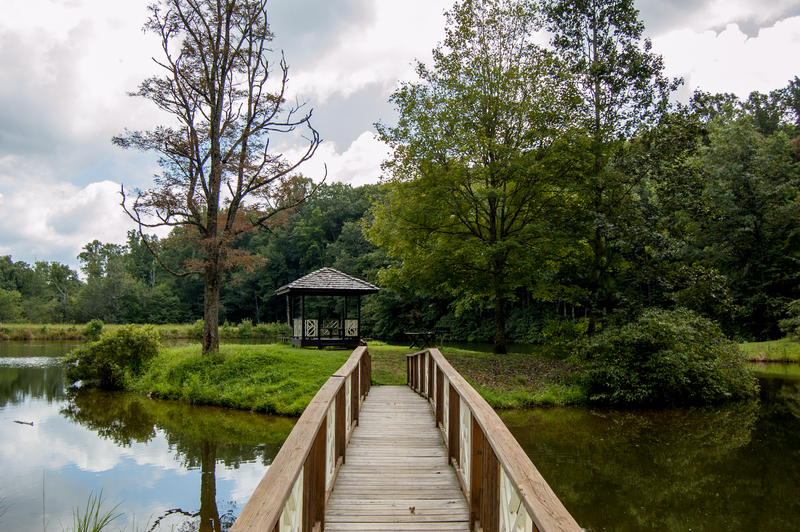 Nestled in a private wooded setting in Fleetwood, in between West Jefferson and the New River, Stone's Throw is just a short drive to the Blue Ridge Parkway, Boone, or Blowing Rock. People come to the High Country because it has so much to offer, from outdoor adventure to shopping, dining and antiquing. No matter what season it is, there are a myriad of activities to enjoy, including hiking, fishing, canoeing, tubing, horseback riding, volleyball and badminton during the warmer months, or sledding, snowboarding, skating - and of course skiing - all winter long. The ski resort at Sugar Mountain is only 40 minutes away. And of course there's that irresistible mountain scenery at every turn. Fall foliage is indescribably gorgeous. It's easy to entertain yourself for hours, such sitting in a rocking chair and gazing out at Nature's bounty. The quaint mountain town of West Jefferson offers restaurants and terrific shopping, including antique stores and art galleries. There's even a movie theater. This is small-town Americana at its finest. Drive a little further to Boone or Blowing Rock, for an even wider assortment of dining, entertainment and shopping options. Tour the campus of Appalachian State University, or visit our craft breweries. And don't forget to take a drive along the Blue Ridge Parkway, for some of the country's most awe-inspiring views. Or - just kick back in your hot tub and feel the stress of the city melt away?. "Very clean and nice area. Not far from town. " "Our overall experience was great, as usual when we book with them. The house is beautiful and we enjoyed our stay. I think they need something to mark the address out at the road because the mailbox in front of the property is for the house across the street and so arriving at night we drove by the house the 1st time. At 1st we weren't sure how we would like staying here because looking at the pictures the house looks secluded but when we pulled up there are houses all around it. However, we loved it. It was very quiet and peaceful. The only thing that needs to be changed it the couch is extremely uncomfortable for sitting. A comfortable couch in front of the cozy fireplace would be great on a cold rainy day stuck inside." "This cabin is beautiful and very nice! My daughter and I really enjoyed our stay here. The hot tub was a huge hit for her. We also had a great view of deer in the yard each morning. House was very clean and perfect." "Our family has visited this area in October for the past 10 years. 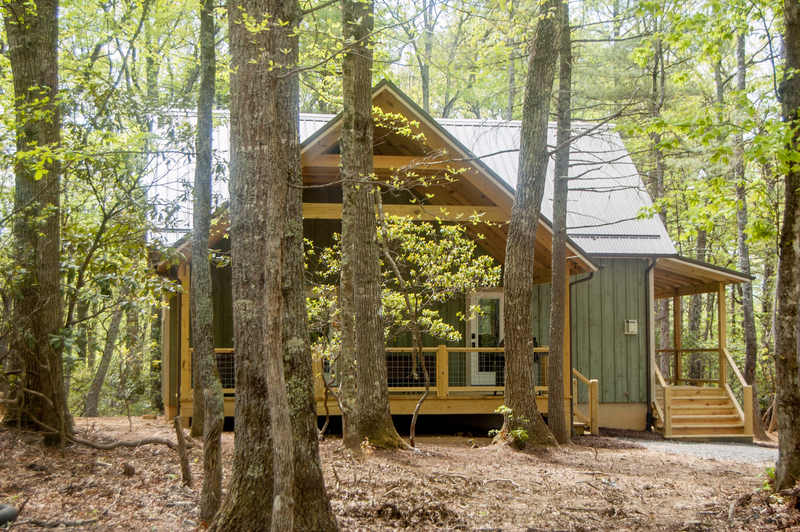 We can honestly say that this cabin is our favorite! It is a touch of luxury in a beautiful cabin. The home is stocked with everything we needed. Some previous reviews left regarding this cabin noted concerns about the driveway...we drive a large SUV and had no trouble getting in and out of the roads or driveways. It was great to have the TVs for entertainment for the kiddos and as always Jerrita is wonderful to work with. I have no complaints regarding our stay." 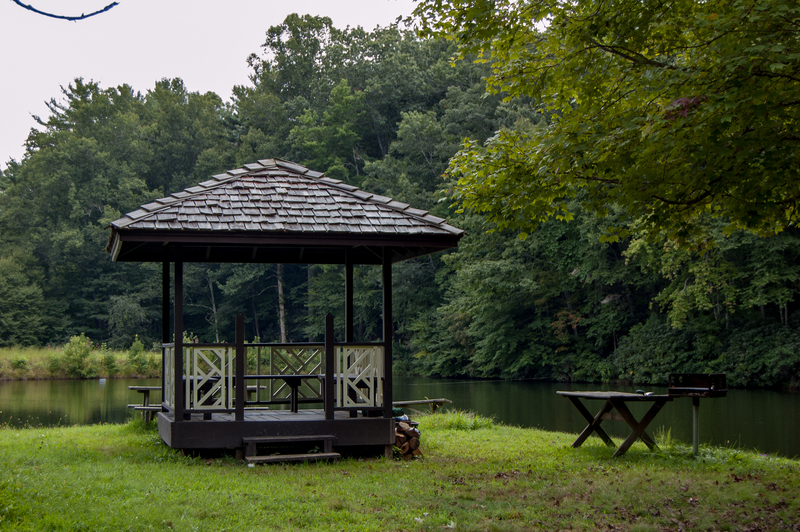 "My wife and I loved the location and the cabin. The cabin was clean, comfortable and everything worked perfectly including the internet. I don't think we could have been happier anywhere else. We plan to return!" "Loved the reclusive feel yet near others. Loved the West Jefferson area, first time visiting around here." "My sister and I stayed at Stone's Throw for several days in August. The accommodations were very nice. Everything was provided and the house upscale. Only problem there was no closet to use in the upstairs bedroom. Side porch was used a lot-wish there had been room for a swing. Getting out of driveway was tricky if more than one car. Would definitely would stay there again.."
"A newly constructed home conveniently located between Boone and West Jefferson, just off of scenic Railroad Grade Rd. and the New River. On numerous occasions, deer walked through the yard and even bedded down for the night right in front. The house was extremely clean without a spec of dust on the floors. The toilets were wrapped on arrival indicating they had been sanitized. The rental company reached out to us on numerous occasions prior to our arrival providing us with tips for our stay and directions. I would highly recommend the property. " "The property was spotless and very comfortable. Had all the things we needed for a relaxing stay. " My husband and son could fish at either the lake, river or steam. The hot tub was an awesome treat after tubing on the river. The accommodations were luxurious and very clean. We will be back. " "This is the 2nd time renting this cabin. Clean and quiet." "We had a perfect weekend retreat in this cabin. Everything felt new and clean and the hot tub was wonderful after a busy day spent in Boone. We can't wait to come back!" 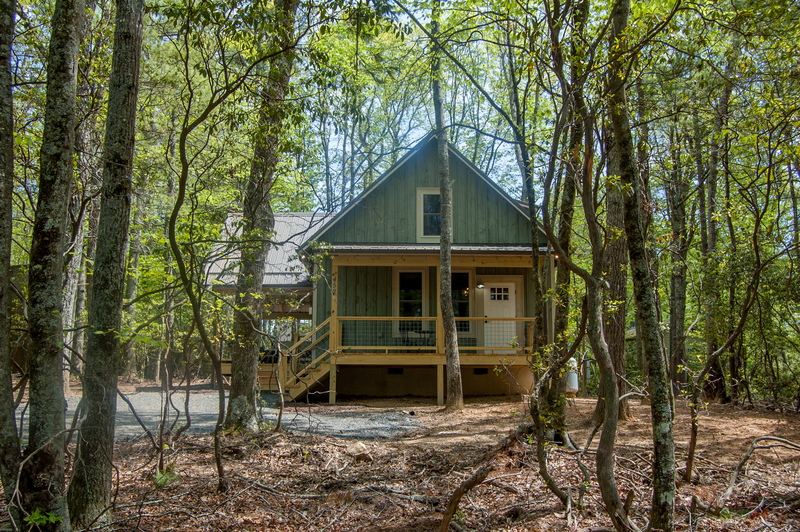 "Cabin was beautiful & in a awesome location nestled right between West Jefferson & Boone! Loved the rustic charm, the porch, & the hot tub! My only negatives are that there was no regular tv, only a Roku box. It would be nice to have a regular antenna for local tv or sports for the men folk! Also, unless you drive a SMALL car, the random trees closest to the house make it difficult to turn around. We had to make a 5 point turn for my husbands full size truck! 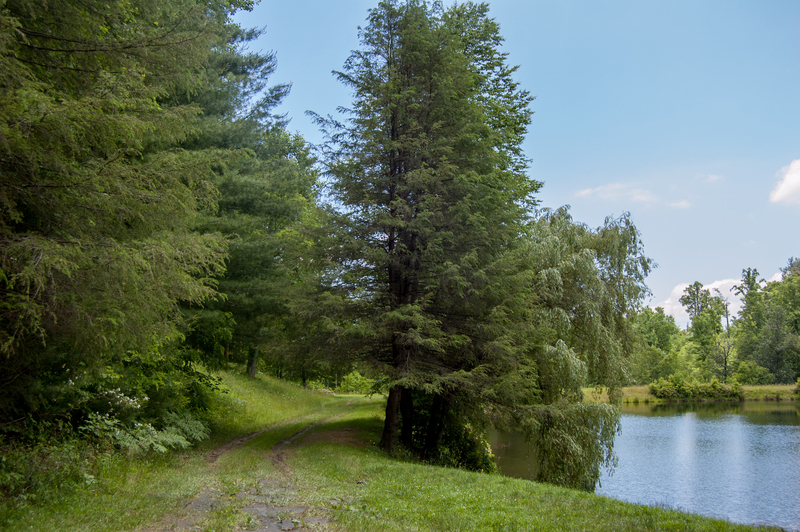 Lastly, the lake shown in the ad is quite a trek from the house & it appeared to be right in the backyard in the photos. Overall, we were very happy with our stay & the folks at the rental agency were very helpful & accomodating! Great weekend getaway!" 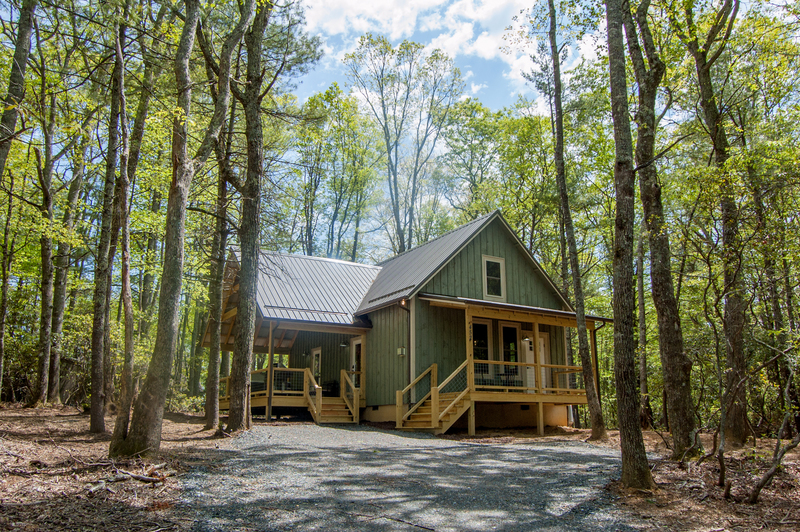 "The Stone's Throw Bungalow was a great spot for two couples attending Merlefest. It was clean, well stocked and cozy. The rental company was helpful in providing info and "tech support" about the heating system, and once we got it set, we were comfortable all weekend. " 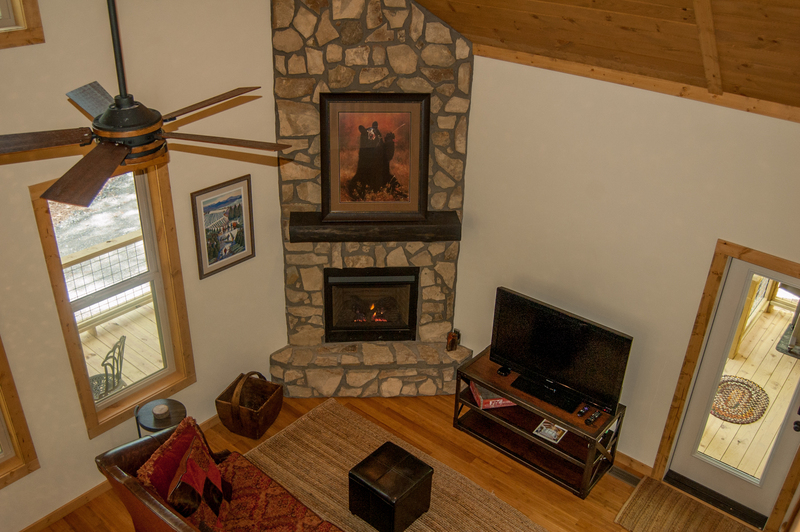 "The cabin was great excellent layout, new furnishings, very well appointed"
"The cabin is fantastic very clean and cozy - our kids loved having the upstairs bedroom. Highly recommend 4wheel drive for winter visits. Would suggest removing 1 tree on the edge of the parking area - if you have a large SUV or truck turning around is difficult as you have to back up around the tree. But we had a blast and would be back." "Absolutely loved Stones Throw. Clean, beautiful and just what we needed. We will absolutely be back." Thank you for the wonderful review. We look forward to hosting you again soon! "My wife, daughter and I stayed at Stone's Throw for the better part of a week and it was great. The cabin is new and was really charming. The porch was fantastic for relaxing in the evening and sipping coffee in the morning. We drove in to Boone and West Jefferson. Neither trip was very long. Great place - I recommend! " "Perfect setting, very clean and comfortable. Everything was as described!" "Very, clean and cozy. Beautiful home. Hot tub was relaxing. Short drive to town and attractions. I would recommend 4wd. We drove my car and the last night it rained we almost couldn't get in the driveway. I would definitely book with this company again!" "This rental was more than we ever expected. The home has beautiful woodwork through out and it really makes you feel like your in a cabin with a bit of upscale living. The rental company was great to work with. We had a little hiccup with the internet and TV but they bent over backwards to help. I would suggest putting in some DVD/Blu-Ray players for the times the internet goes out. Over all we WILL be back! " "Very clean, quiet and convenient to every place we wanted to visit. The New River was very relaxing as we drove along its banks. The home was very well appointed and comfortable. We would definitely rent this again, maybe in the spring to learn how to trout fish, or canoe. The location ws an easy drive to Blowing Rock and Elk Knob, for hiking. We also found an exceptional food market in the Jefferson area called Ingles. 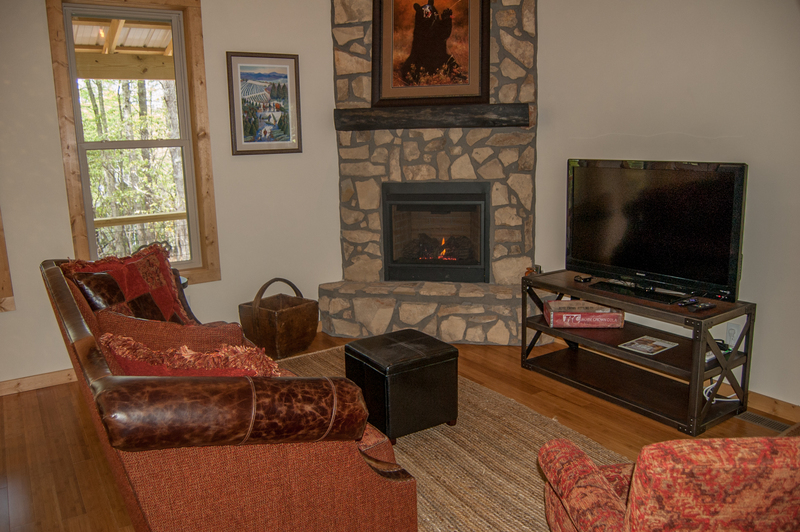 Thank you so much for Ashe High Country Vacations for making it a stress free rental." "This rental was just what we needed for our small family and kiddos. The most impressive thing about our stay was how clean the cabin was, as well as, all the items in the kitchen (utensils, pots, oven, fridge). Beautiful area. " "Great place to stay! Gorgeous neighbor hood, loved seeing the deer in the yard! Also had a sweet mountain dog Damian come by and visit. Cabin was beautiful and clean. Hot tub was a little difficult to figure out, also had a weird smell to water. " Thank you for the feedback. We're in the process of adding some additional instructions for the hot tub. Also the hot tub is serviced between each and every guest. We're always happy to send out maintenance however if anything is ever of concern so we can determine if attention is needed. "Great location, very clean, inviting, and comfortable. "Stone's Throw was an awesome getaway for me and my wife. We celebrated our 10th anniversary and wanted to get away and enjoy the quiet and that's exactly what happened. The only problem was getting to the location. The email stated to look for an orange cone and there was no orange cone. The home needs an address marker or something to distinguish it. It was behind some trees, so it was hard to locate. I was glad we went during the day." "This is a great get away! The neighborhood is so beautiful. It is so quiet and relaxing. The porch is large and great for sitting or soaking in the hot tub. The interior is nicely decorated and new. Everything was great. The bed was very comfortable. It was extremely clean and the kitchen items are good quality too! We went into Boone and into West Jefferson enjoying the sights. "Extremely clean, beautiful, perfect for our small family. We will definitely"
"Loved this house! Everything was brand new. The beds were very comfortable. The only thing I recommend is to get non stick pans but other than that the trip was great. We would definitely like to come back." "We had an absolutely AMAZING stay at the bungalow. Everything in the cabin is brand new and beautiful. I would like to be back there relaxing right now! The cabin had everything we needed from coffee cups to towels. The hot tub was clean and the forest is lovely. 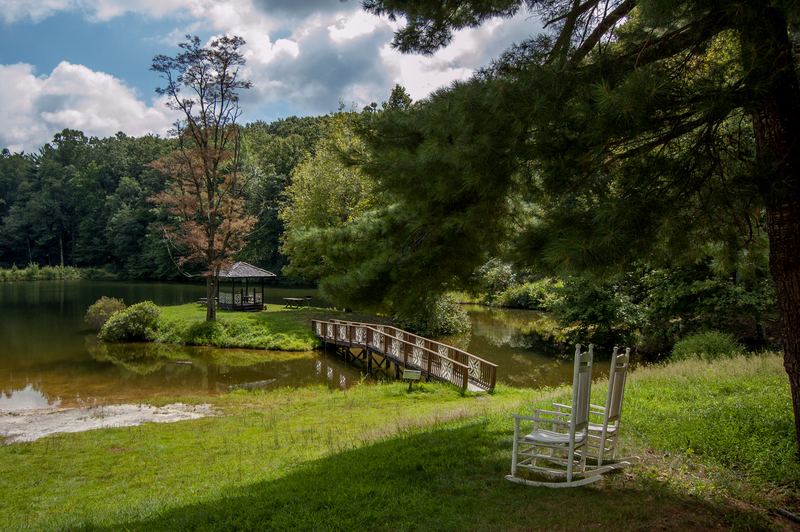 Great location as it is close to Boone and the Blue Ridge Parkway! We will be returning." "Quiet and relaxing, neighbors are a little close but not really an issue. 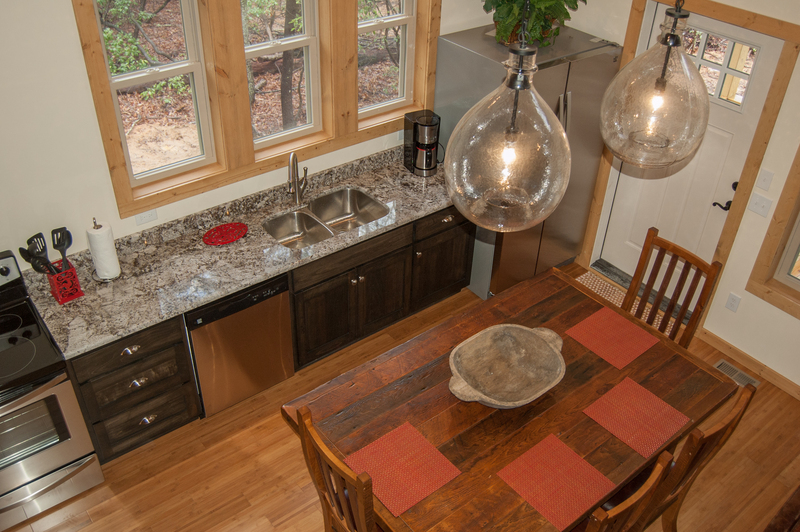 The cabin is new, clean, and adorable. " "Everything was very nice and comfortable. " 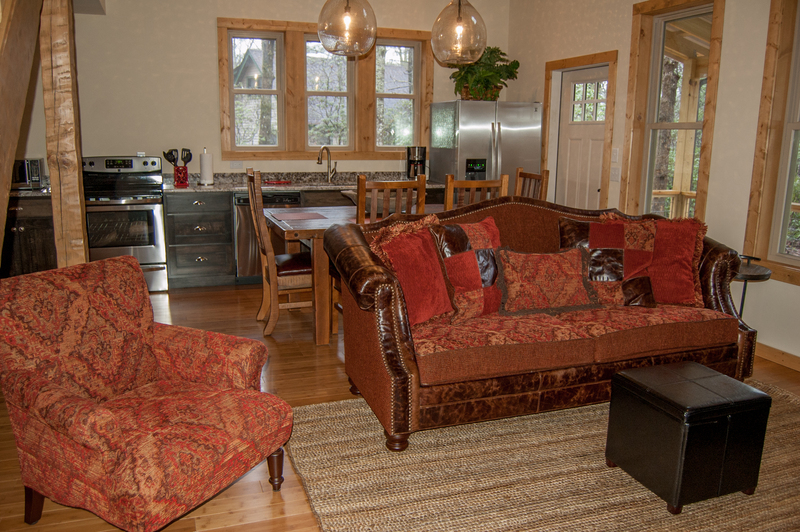 "Me and a few of my friends rented this cozy little retreat for the weekend to get away from work for a few days. This place is truly amazing. 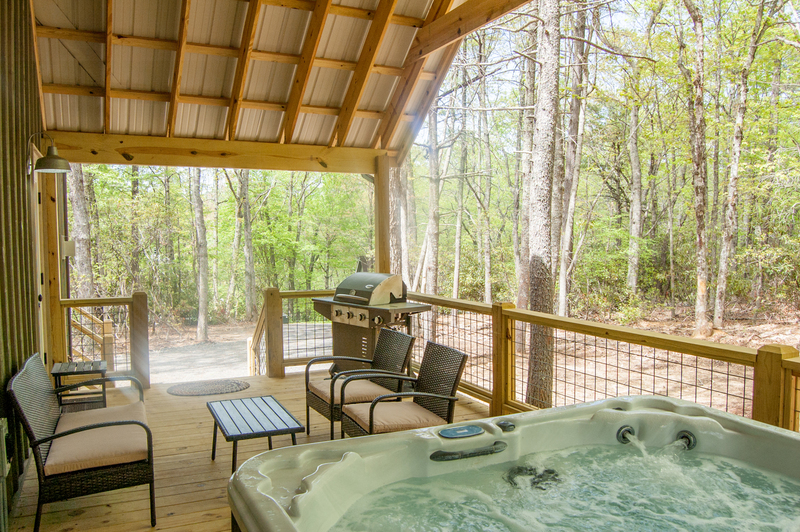 From the deep sitting couch and king beds to the steaming hot tub this one has it all. The house was very clean and exactly what we were looking for in a mountain vacation home. It was well lit and easy to get to, and the deck was perfect size for an outdoor dinner and drinks. We will definitely be returning to this property. P.S. the river and lake were a blast to fish and had gorgeous views. " Thank you for the wonderful review. We look forward to having you again soon. "We loved the house. Has everything you might need, and was spotless. Would come back in a heart beat." "The temperature was great for late July/early August. Wished it would have been closer to the New River. " Thank you for the wonderful review. 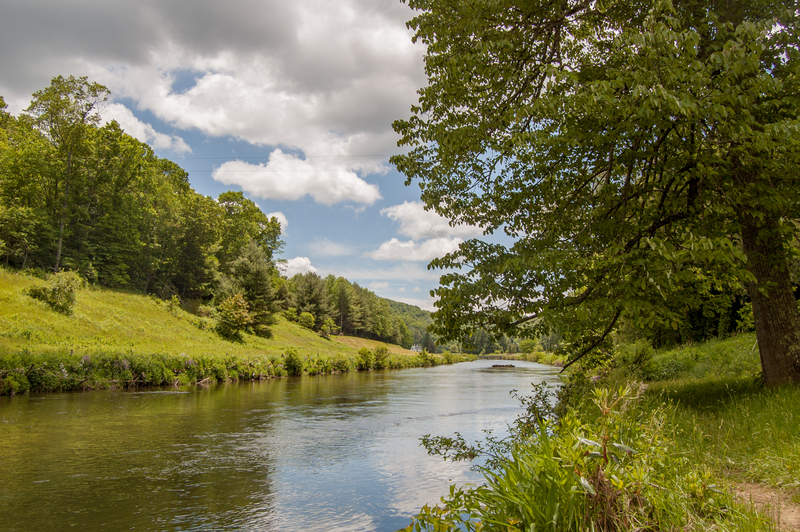 The common area on the New River is less than a mile from the property, only a couple of minutes drive, with plenty of parking space and offers easy access into the river for fishing, swimming and more. It would be good to have non-stick frying pans. There should be a privacy blind or curtain on the downstairs bedroom door." Thank you for the feedback. Blinds are ordered and will be installed soon. "Perfect for my 13 year old son and myself as a nice getaway for summer break, as I am a teacher. Far enough away to be private but close enough to Boone and West Jefferson to do about anything we wanted there. My only surprises were that it was in a neighborhood like setting, and there was some construction going on at the house across from ours which was a little annoying at times. However, the "neighborhood" was very steep and wind-y as well as plenty of trees around, so you really didn't see the neighbors and the construction noise was not constant. When that is finished I believe it will be a perfect retreat for some much needed peace and quiet. Enjoyed our stay and have already recommended to 2 Friends! Thanks for the ease of check-in and out. Loved it!" 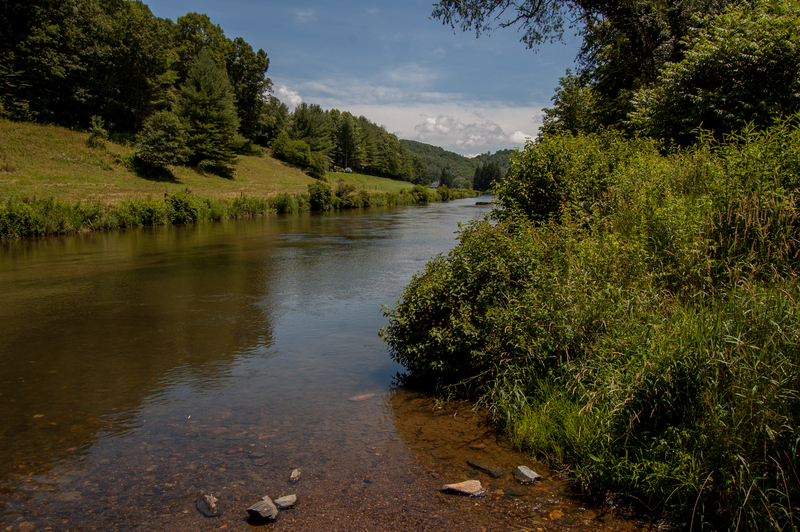 "We have stayed with Ashe county rentals 4 times. 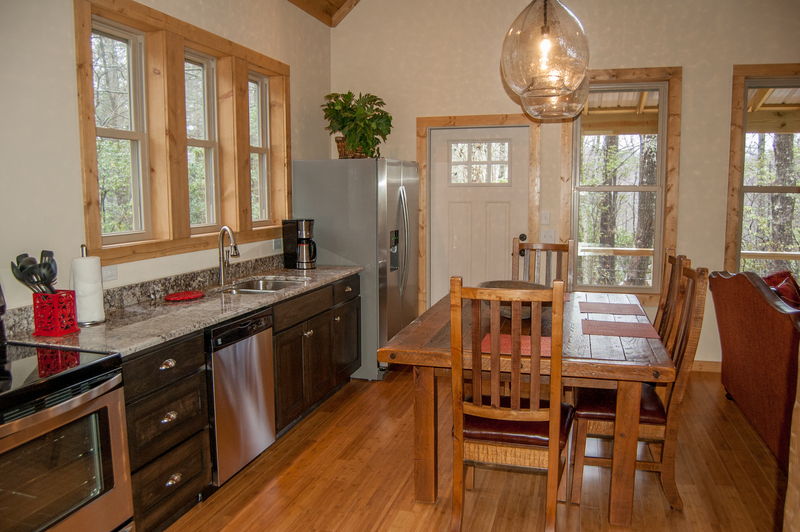 Now and every trip the cabins are clean and well maintained but this place looks brand new. It's right off probably the best cycling trail in the state so it want be a disappointment. Only downside is the home is wide open with no blinds on the doors and the neighbors close. But other than that perfect stay. We will be going. Back "
Thank you for the feedback. We're in the process of adding more blinds. 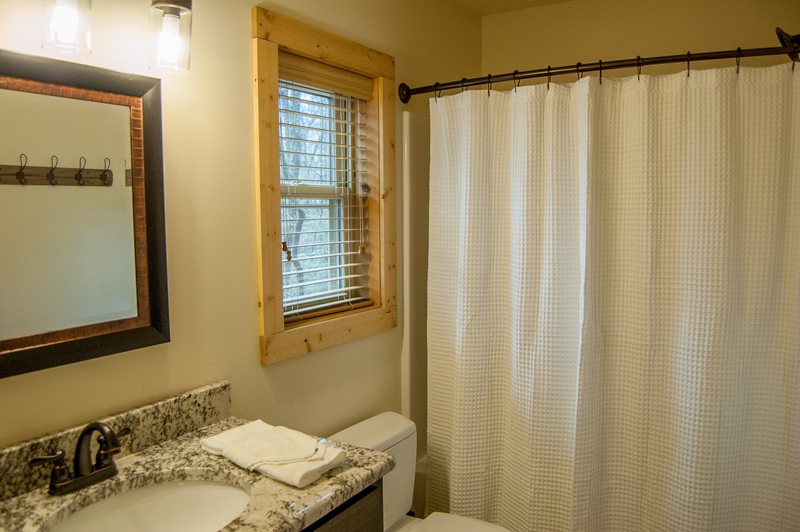 "we enjoyed our stay at this cute little cabin everything was nice and clean.We especially like the hot tub. My only request would be please put a blind / curtain some type of covering over the door in the bedroom due to the close proximity of neighbors. Judy was awesome finding us this last minute rental!" Blinds have now been added to all rooms. "The home was wonderful inside. Location could be better. Close to several homes around it. The neighbors that were there were quiet though. The hot tub was clean and heated quickly. We will rent it again probably. "